What I love about indie brands are the little personal touches, the unique ideas and the very personal feel you get from your experience with them. I love seeing the (often beautiful) packaging and branding and knowing somebody has dreamed that up in their living room/bedroom and brought it to life! Spell Polish is a stand out to me for fabulous packaging and branding - the logo really caught my eye and the business cards are so lovely I will definitely be keeping mine. I also received a really nice sticker that now lives on one of my Helmers! 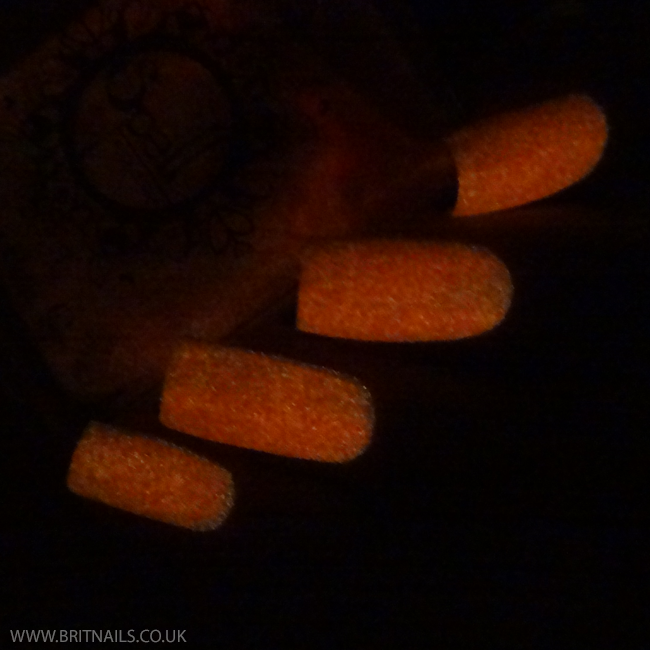 Branding, however good, will only get you so far though - so let's check out the polishes. Burning Down The House - SUPER bright, glow-in-the-dark orange-red neon. This is possibly the brightest neon I own! It sent my camera a little bit mad but I think I managed to capture the brightness of it. This dries semi-matte, so add top coat if you prefer glossy. Very easy to apply with no drag, I used 3 thin coats. I'm pretty terrible at taking pictures of glow-in-the-dark shades, but I'm throwing one in as proof it works! 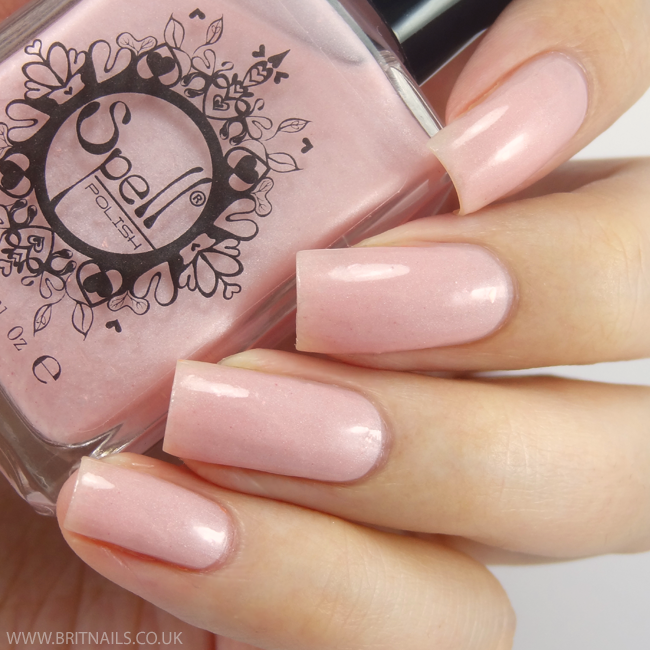 Open Doors - Pearly pink matte polish with shimmer and pink flakies. So pretty and ethereal, but unfortunately the flakies didn't show up too well on my nails. I've seen swatches where they're perfectly visible though, so we can blame me for this one! Lovely smooth formula and no drag at all, I used 3 coats. Here it is with a gloss top coat, I think I much prefer it this way! 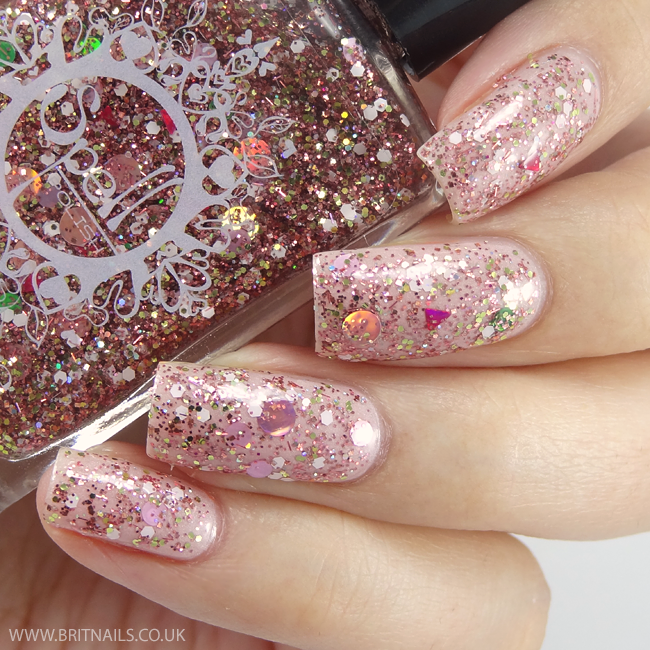 Shake It Like a Polaroid Picture - Densely packed glitter bomb! This is a glitter topper with so much going on - circles, hexes, tiny bars and tiny triangles! The primary colour is pink and there's bits of white, gold and a few other colours. I've layered 1 coat (plus dabbing to fill in gaps) over Open Doors, a perfect match. I added some top coat for a glossy finish. I'm very impressed with my first experience with Spell Polish, the formula of the matte shades couldn't be better and the glitter is unique and full to bursting (nobody likes sparse glitter!) I've also heard very good things about their holo shades. 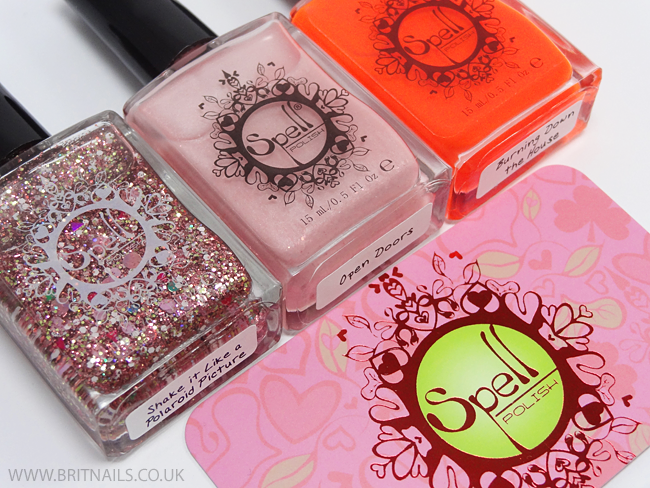 Have you tried anything from Spell Polish before? Let me know! I've never tried Spell Polish, but I love your swatches of Open Doors and Burning Down The House ! I'm not a huge fan of Shake It Like a Polaroid Picture, there's too much going on in it for me :) Thank you for this review ! I have a Spell Polish sticker on my Helmer! The branding is great. Open Doors is my favorite of the three. So pretty! That neon...oh my! It's so gorgeous! And that glitter macro...DROOL! I am so liking that glitter bomb! Looks like a great one for Spring! Open Doors is really stunning and angelic! Dat macro tho...O_O la la love! Really awesome to see you swatch Spell Polish! I'm a huge fan of them, her latest collection is really wonderful. I love Open Doors on you! Flawless swatches Allie! 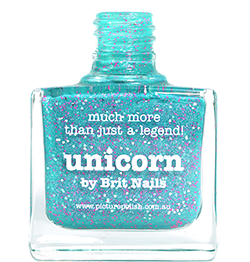 Spell Polish always makes the most unique polishes and these are no exception! I love how you captured the brightness of Burning Down The House.